On September 12th HP Inc. announced a definitive agreement to acquire Samsung's printing division for an estimated $ 1.05 billion. The same day, HP announced the launch of a wide range of new A3 multifunctions, and a series of complementary services. HP intends to make real changes in the printing market, especially in the A3 segment which is worth some 55 billion USD a year. This new range comprises 16 new-generation print engines. Of these, 13 are based on HP LaserJet (toner) technology, and three on HP PageWide (inkjet) technology. In total HP will be launching fully 54 different models, ranging from 25 ppm to 80 ppm, covering A3 color and monochrome. The Color LaserJet range consists of the E77822 (22ppm), E77825 (25 ppm), E77830 (30ppm), E87640 (40ppm), E87650 (50 ppm) and E87660 (60 pmm). The PageWide color range is the P77740 (40/60 ppm), P77750 (50/70 ppm) and P77760 (60/80 ppm). The LaserJet monochrome range includes the E72525 (25 ppm), E72530 (30 ppm), E72535 (35 ppm), E82540 (40 ppm) and E82560 (60 ppm). Finally, the M436 (23ppm) is a monochrome PageWide machine. The A3 series will be commercially available from around the second quarter of 2017. HP is presenting the new ranges as machines which are both compact and productive, equipped with full finishers (stapling, punching, booklet making, etc. ), with a focus on security. High-security functions will be incorporated, such as an intrusion detector, secure boot, and HP Sure Start, which verifies the integrity of the BIOS (Basic Input Output System). Security will also be enhanced by the HP JetAdvantage solution, already present on current equipment. In parallel, HP also will be launching Smart Device Services, a cloud-based set of tools and services for monitoring and for providing remote support to printer and MFP users. So long as an HP printer or MFP supports FutureSmart (introduced in 2012), SDS provides a means for technical support and admin staff to monitor consumables lifetimes and handle equipment failures, perhaps before these become critical. This is intended to improve uptime and reduce costs all round. Smart Device Services will work on machines based on both LaserJet and PageWide technologies. Finally, a funding program for partners was also mentioned during the announcement. HP Financial Services (HPFS) offers a variety of investment options to help partners and customers of HP. HP have enjoyed enormous success in other channels in part through value-added resellers, but more substantially in direct sales both B2B and B2C - providing support and other services to business users directly, without dealers. 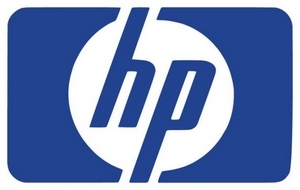 HP have used Canon-produced print engines on their A4 devices up to now. This will stop. HP printers will soon employ Samsung's mobile and cloud strategies as well be manufactured in ex-Samsung's printer factories in South Korea. This will make a big hole in Canon's bottom line. In a contracting market, margins decline. HP really is in a position to market relatively inexpensive MFPs which do not need parts often - and to supply direct support services, as they do in their other equipment channels. This could be bad news for all competing copier dealerships, and very bad news for third-party consumables vendors.